Visual MODFLOW Flex allows you to have multiple 2D and 3D Viewer windows opened and displayed at one time. 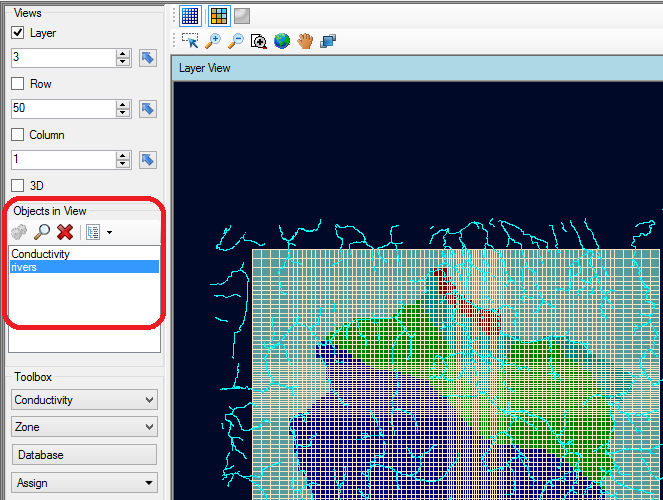 When a new viewer is opened, it is added to the window bar, located at the top of the main Visual MODFLOW Flex Window. You can change the current active viewer by clicking on a different tab from the bar. 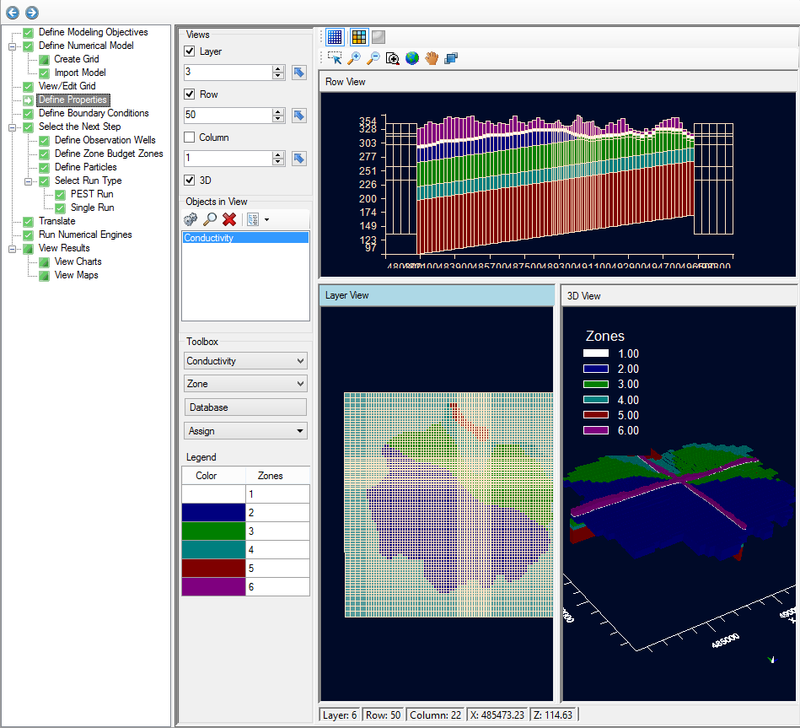 The Flex viewer, (sometimes known as the Composite viewer), is available in the numerical modeling workflow for regular (MODFLOW Finite Difference) grids. 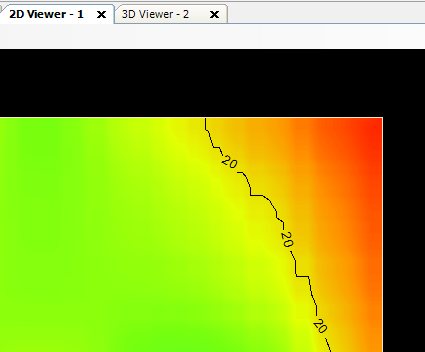 This multi-purpose view gives you the ability to view and inspect your numerical model data along a selected layer, row, column, and/or 3D view. •Under Views, select the various views you want to see in the Flex viewer; Visual MODFLOW Flex allows you to simultaneously show a layer, row, column and 3D Views. Place a check box beside the desired view and it will appear on the screen. •Adjust a specific layer, row, or column using the up/down arrows. Alternatively, click on the button then click on any specific row, column, or layer in any of the 2D views, and the selected row, column, or layer will be set automatically. Below the list of Views you will see the Objects in View Panel. This panel provides a list of the data objects that are visible in the current view; any objects that have been "checked on" from the Data tab or Model Explorer will be listed in this Objects in View; since both the Data tab and Model Explorer can grow in size and complexity as your project evolves, this Objects in View panel provides a nice short-cut to hide objects you don't wish to see in the view. In addition, you can access context menu options from this panel; these are menu items that were typically only available by right-clicking on the Data tab or Model Explorer. 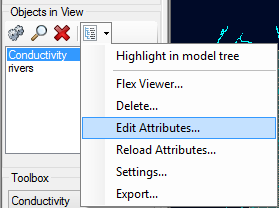 •More Actions: Loads the similar context menu options that you would get if you were to right click on the object from the Model Explorer (or Data Tab); an example is shown below for "Conductivity"